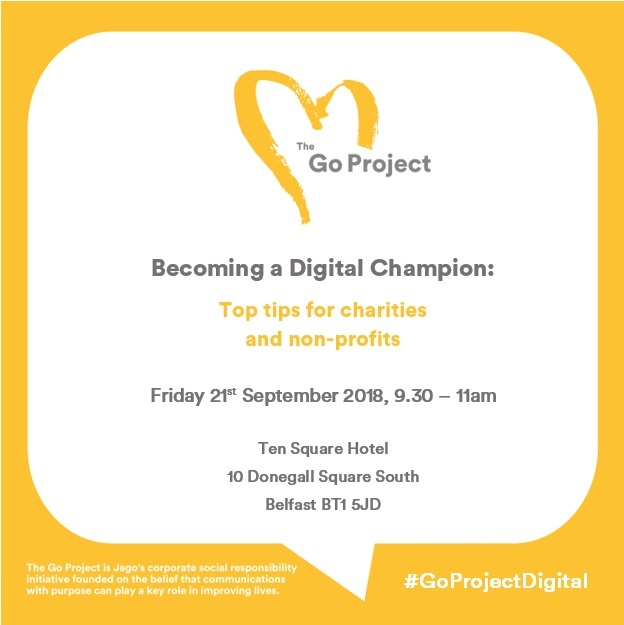 Jago is pleased to announce the latest instalment in its series of Go Project workshops, “Becoming a Digital Champion: Top tips for charities and non-profits”. The interactive session will take place at Ten Square Hotel, Belfast, BT1 on Friday 21st September at 9.30am. Beginning with a breakfast reception, the one-hour workshop will be aimed at helping attendees further their digital communications. 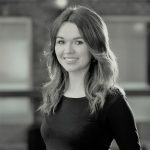 Third sector organisations including charities, voluntary and community organisations, social enterprises and cooperatives are encouraged to register to hear Jago’s practical tips on developing a digital strategy and overcoming challenges. The presentation will also highlight best practice in the industry, how to make the most of opportunities that present themselves and will include an informative Q&A with the Jago team sharing their expertise. Limited spaces are available. To register please contact Alana Hughes: alana@jagocommunications.com or via the Jago LinkedIn or Twitter using #GoProjectDigital.